I had the surprise pleasure of stumbling upon Benny’s on the Beach, aka Benny’s Beach Bar. 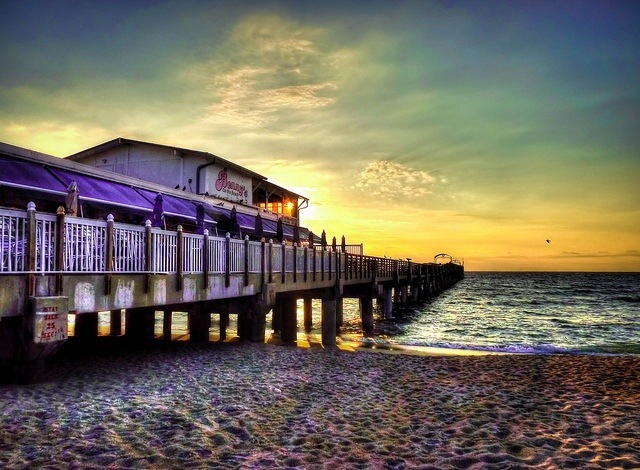 Located at the municipal pier in Lake Worth, Florida, it appeared at first to be a dive bar. After further review, I can tell you it’s anything but. It’s popular for it’s super sized breakfast/brunch dishes which are served until 2 pm. You have to get there early, however, as it closes at 5 pm daily.